Simon Baker (The Mentalist) in speedos in Home & Away-nice vpl!!! An entire generation of Aussie studs seemed to get near-naked on H&A or Neighbours, which makes it all the better when they become big stars and we get to leer at them when they were trying to get into the business and were willing to show anything. 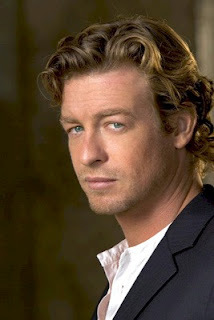 And Simon Baker is so charismatic and has such a hot body, I'm glad he's found success on the Mentalist.